I knew I had some pics in my filing cabinets somewhere; the question was, were they subject to copyright? I’d been wondering where I should take the orphans after their arrival and early years in Australia? 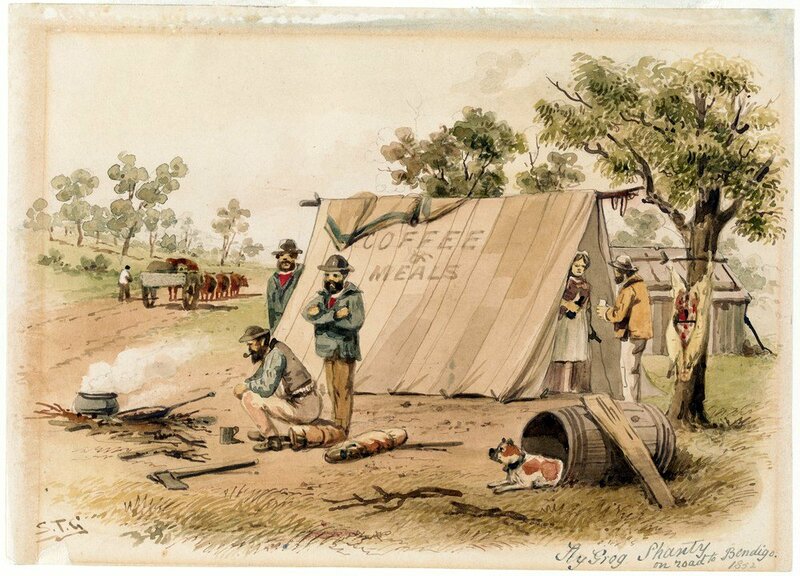 Should I stop at the 1858 New South Wales enquiry? Or go further? What illustrations could I use? Our State Libraries in Australia perform a wonderful service. 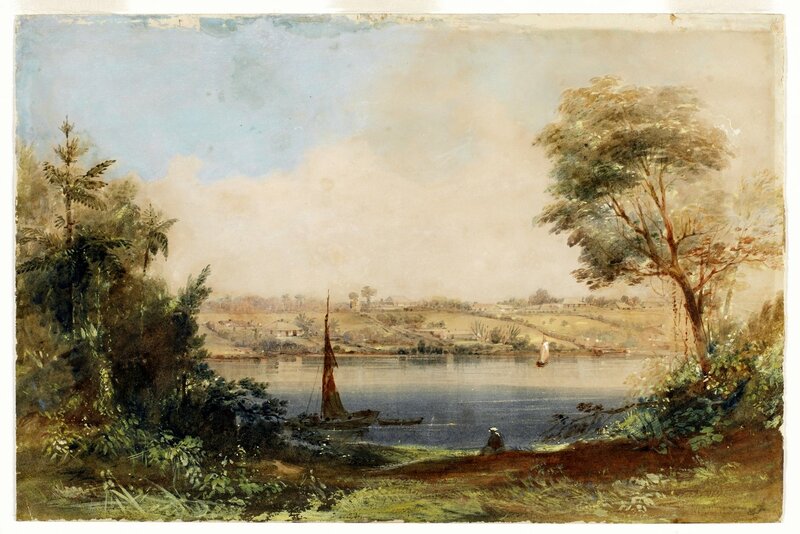 I’ve had a quick look at some of the collections, online, in the State Libraries of New South Wales and Victoria. I’ve discovered some illustrations to share with you. You might like to do a search yourself. Here’s a pic of Adelaide at the time of the arrival of the female orphans. 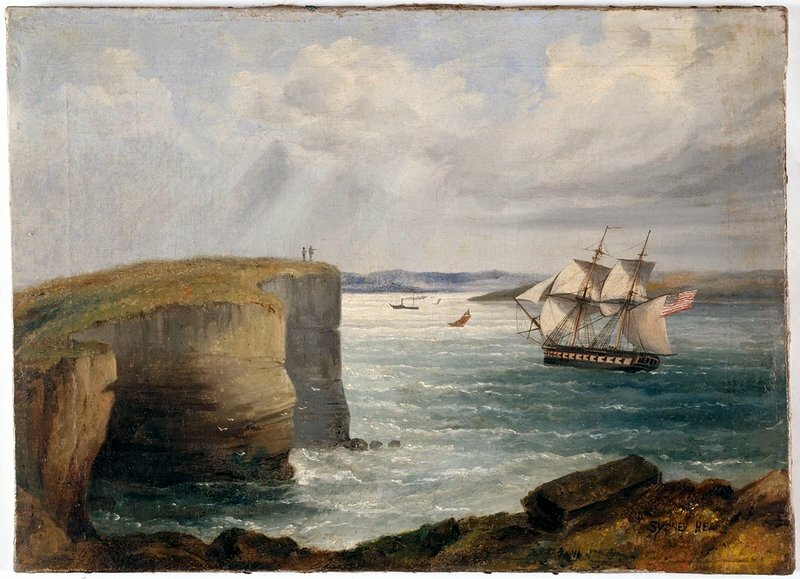 Now for one of an American ship entering the Heads at Sydney Harbour, again around the time of the orphans’ arrival. This, too, is from the New South Wales State Library Collections. 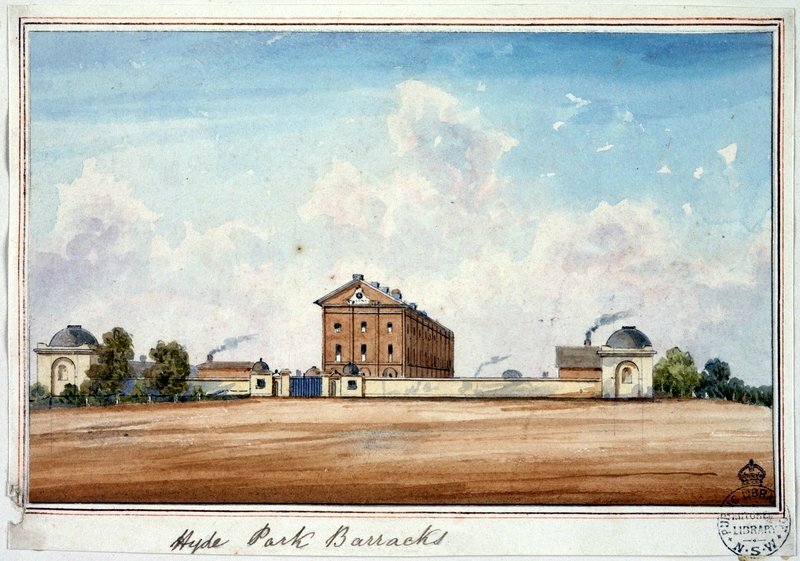 I searched for some illustrations of Hyde Park Barracks which by 1848 had been converted from a convict barracks to an Immigrant depot. It was soon to house the Earl Grey Famine orphans who arrived in Port Jackson. Here’s what I found. Again, my thanks to the State Library of NSW. 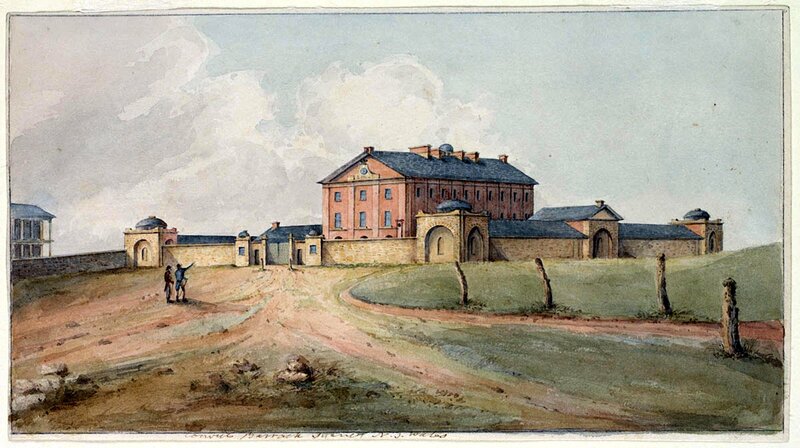 This next one is from around 1840-1850. Not a lot seems to have changed in the immediate surroundings of the Barracks but that would be misleading. 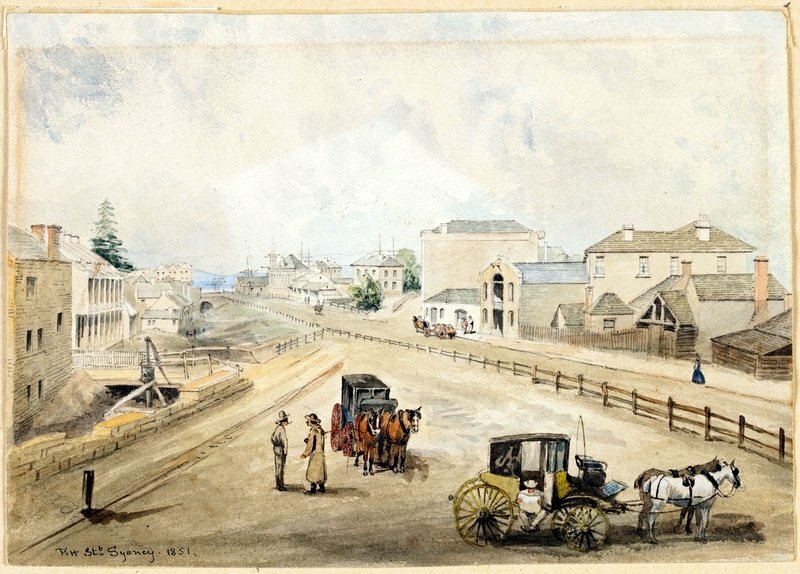 This next one is of Pitt Street, Sydney, in 1851. Can you see the masts of the ships in the harbour? 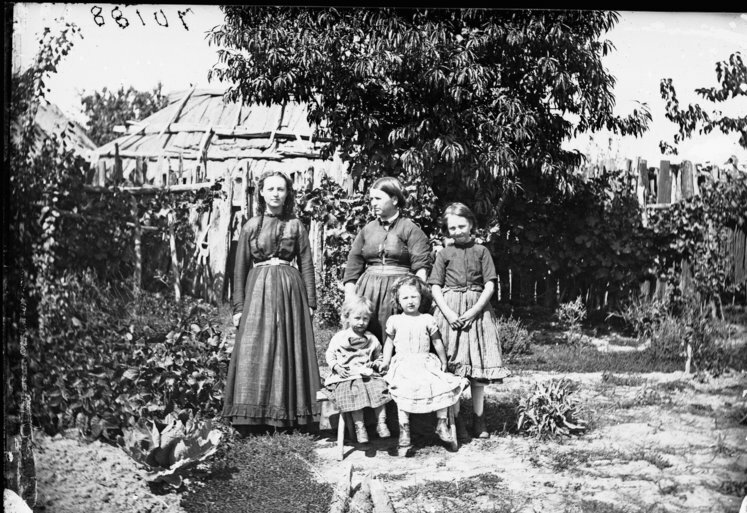 I hope these pics give you some ‘sense of the place’ where the Irish orphans came. I’m going to have to take a closer look for illustrations of what became Victoria in 1851 and what later became Queensland in 1858. Here’s a couple in the meantime. 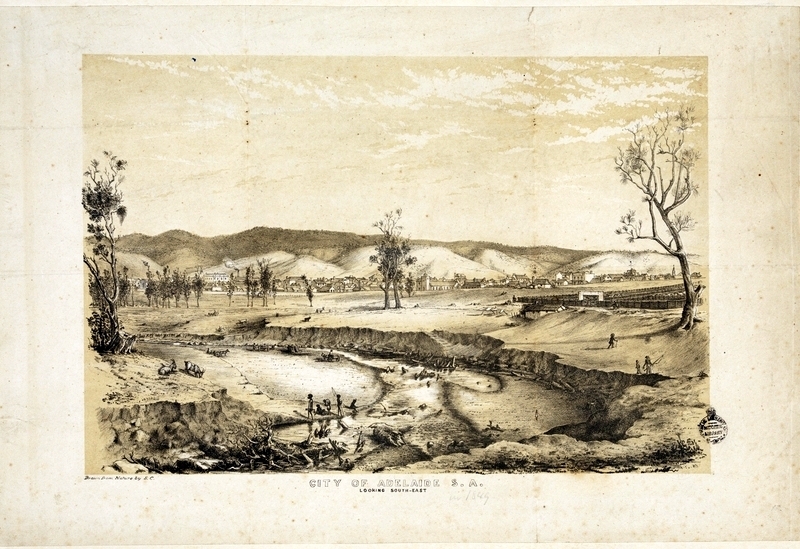 The first two are from the State Library of New South Wales collections. The S. T. Gill is from the State Library of Victoria. Finally, some early photographs from the Holtermann collection in the State Library of New South Wales. These date from 1870-1875. 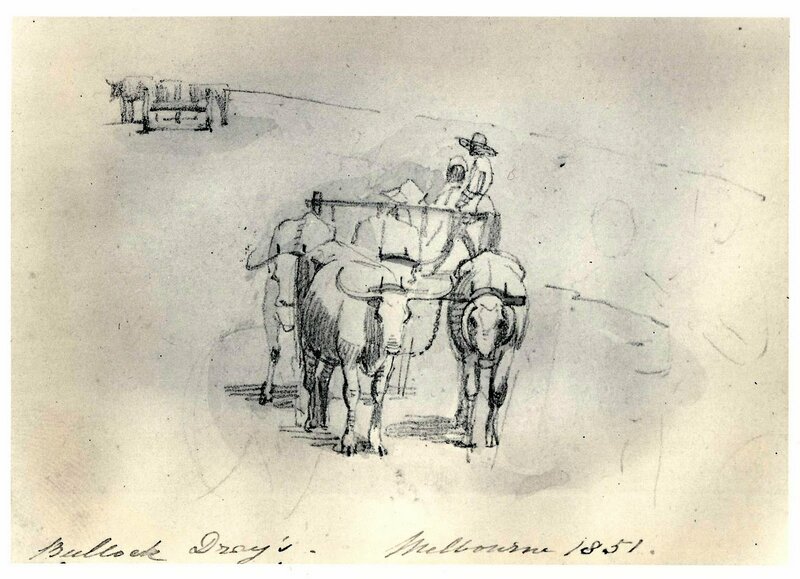 The photographs were taken around the Gulgong, Hill End, Orange, Lucknow area of New South Wales. 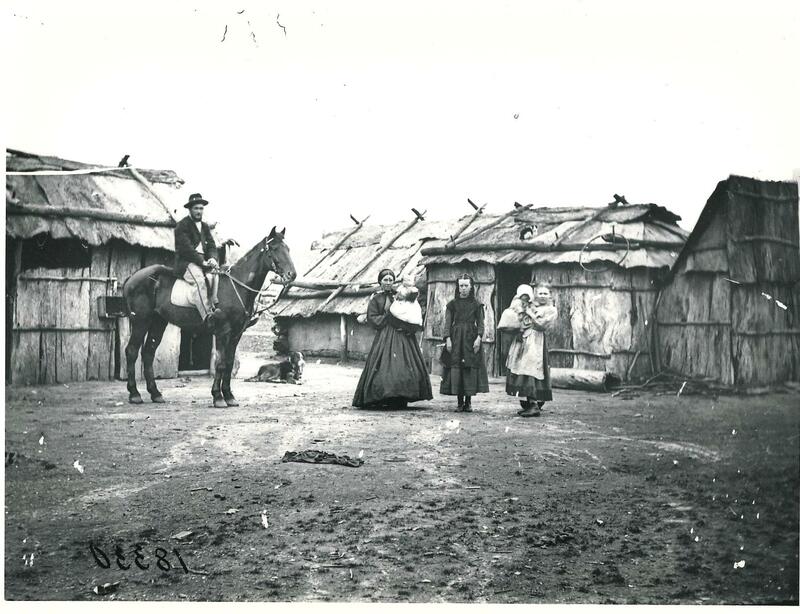 Note the housing (bark huts) in these photographs. I hope these pics will encourage you to explore the collections for yourself. 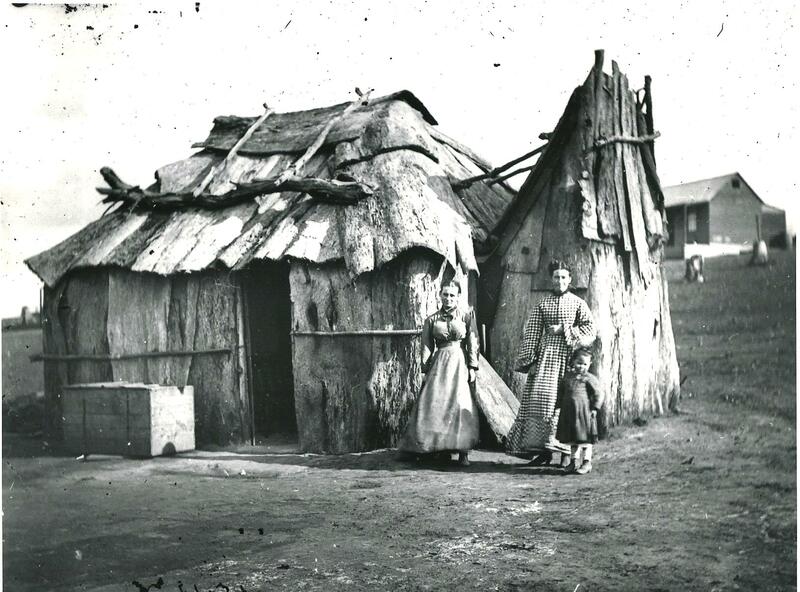 This entry was tagged Adelaide 1849, Bullock dray Melbourne 1851, Gulgong c.1870, Hill End c. 1870, Hyde Park Barracks, Irish Famine orphans, Irish Famine orphans to Australia, Kangaroo Point, Pitt St Sydney 1851, Sly grog shanty/STG, women and bark hut. Bookmark the permalink. I am so delighted you are doing this work online Trevor. It’s like visiting an old friend.